Always Prepared with Bags On Board! 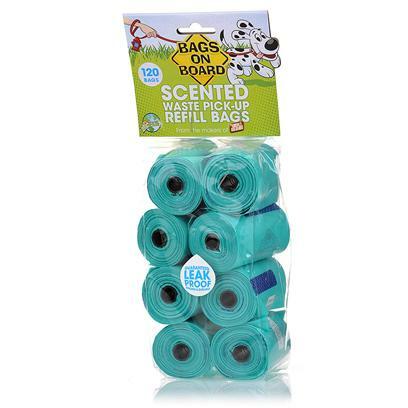 With Bags on Board scented waste pick-up refill bags, you won't have to worry. The leak-proof, durable bags can handle even the toughest jobs, and fit conveniently in the Bags on Board dispensers. You'll love the fresh scent!